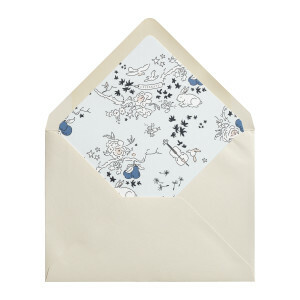 This eye-catching envelope liner features delightfully hand-drawn imagery. 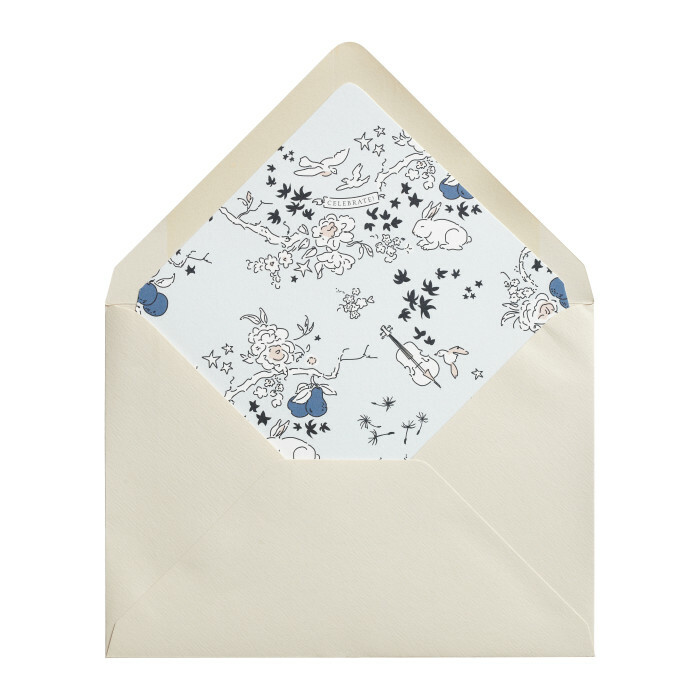 Rife with fanciful little critters and organic decoration, the design is a modern take on the Chinoiserie artistic style. The liner is flat printed single-sided on text weight stock with a subtle eggshell textured finish, and the envelope has a matte finish. $645 for 100 flat printed Liners and matching matte colored Envelopes.